The horrendous traffic situation in Metro Manila led Veronica Resurreccion to open a new nail salon concept. Opened in June 2017, Extraordinail’s Luxury On Wheels is the first and only mobile nail salon in the Philippines. 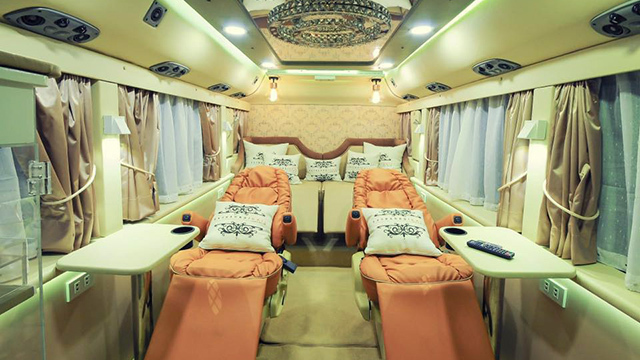 To further ensure the quality of the beauty and nail specialist’s work, along with the security of the guest’s belongings, the luxury bus is installed with CCTV cameras. Luxury on Wheels offers complete mani-pedi services in a customized modern interior. Clients are serviced by experienced and professional staff in an air-conditioned environment with plush reclining chairs, Wi-Fi access, high-definition TV and a high-quality sound system. 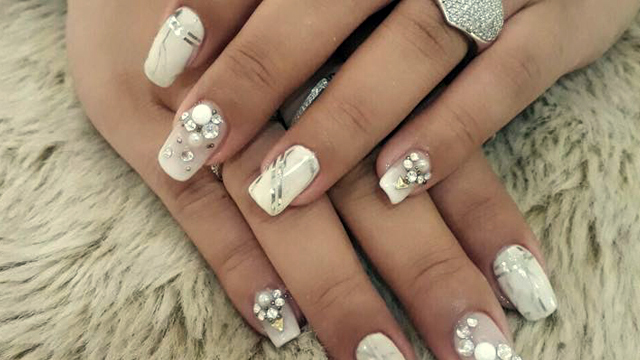 The mobile nail salon offers everything from basic nail cleaning and pampering services to fancy nail art. Some designs can even incorporate Swarovski crystals for some extra sparkle and dazzle. The bus is also available for special occasions such as a spa party for birthday celebrations or bridal showers. Booking fees start at Php1,500 to Php2,000 for home service with free light snacks (such as chips) and unlimited wine on board. Resurreccion said she invested about Php3 million for her luxury bus. When asked about the advantages of her mobile nail salon compared to traditional salon, she explained that it’s cheaper to operate the former. Whereas in a traditional salon, you would need to pay anywhere from Php80,000 to as much as Php120,000 a month in rent, her mobile nail salon only needs gas which costs around Php300-Php600 a day. According to Resurreccion, Luxury On Wheels is now open for franchising for her loyal clients particularly those living in fast-growing provinces such as Laguna, Pampanga and Cebu. The cost of the franchise package starts at Php5.2 million. Since launching in the middle of the year, Luxury On Wheels already has had a full schedule stretching to the end of the year and early 2018. Resurreccion said she is keen on growing the business by adding more buses in order to cater to more clients in more areas around the city.